There’s been no incessant jibber-jabber. No suffocating, tacky hype. No disingenuous, inane chest thumping geared solely to selling more pay-per-view subscriptions. Just a tweet and a reply. That’s the history between Israel Folau and Brad Weber. But their social media contact is far more heartfelt than any dribble that’s come out of the mouths of McGregor and Mayweather. And Folau and Weber are about to get into the ring to face each other – well them and 28 other big, aggressive blokes that want to run over the top of their opposition. “HELL… Unless they repent of their sins and turn to God”. He copped plenty of criticism. He got some freedom-of-speech supporters. Rugby Australia weren’t happy. Neither were their sponsors. And then Weber, the Chiefs halfback, didn’t want to let Folau off the hook, tweeting back with venom. Weber’s searing post sets up an intriguing sub-plot to Saturday’s Super Rugby clash between the Chiefs and Waratahs in Hamilton. Weber and Hurricanes halfback TJ Perenara were two current rugby players to have a crack at Folau. Is it any surprise it was a couple of No.9s chirping back? It’s the kind of sub-plot that rugby union is thin on. Around the time of Folau’s tweet, the Australian teams were struggling and crowds were dipping. He at least got many talking passionately. In fact, as problematic as Folau was viewed by RA, the publicity he generated was arguably an upside for them. They got to reiterate their diversity and inclusion policy and win some socially-progressive points. So did their major sponsor Qantas, as hypocritical as it was for them to shout down Folau while being in bed with Emirates. 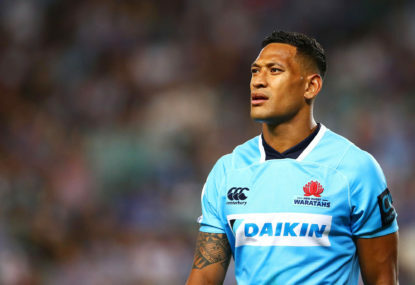 Nonetheless, the animosity shown by Weber towards Folau gives the clash – already a crucial one for both sides as the mid-season break approaches – another exciting element. Chances are they’re too professional to seek each other out and spark things up. Waratahs coach Daryl Gibson reckons there will be no issue between them – it’s “been put behind us” and “we certainly haven’t spoken about that”. But part of the reason we watch sport is because of the possibility of the brain explosion, the what-were-they-thinking moment. It’s unscripted drama. When heart rates are up, pride is on the line and adrenaline pumping, anything is possible. Yellow sandpaper anyone?!?! Surely Folau has pondered the scenario of getting the ball with room to move, cutting back on an angled run, lining up Weber and scorching over the top of him?!? He’s a proud man and he cherishes his religious views. Weber has dissed him and while this is no schoolyard scrap, it’s only human nature for Folau to want to get back at Weber. That’s the game-time intrigue. On top of that, it will also be worth keeping an eye out for the post-match interaction. Weber can be viewed as the representative for all of those people out there that lambasted Folau for his anti-homosexual message. 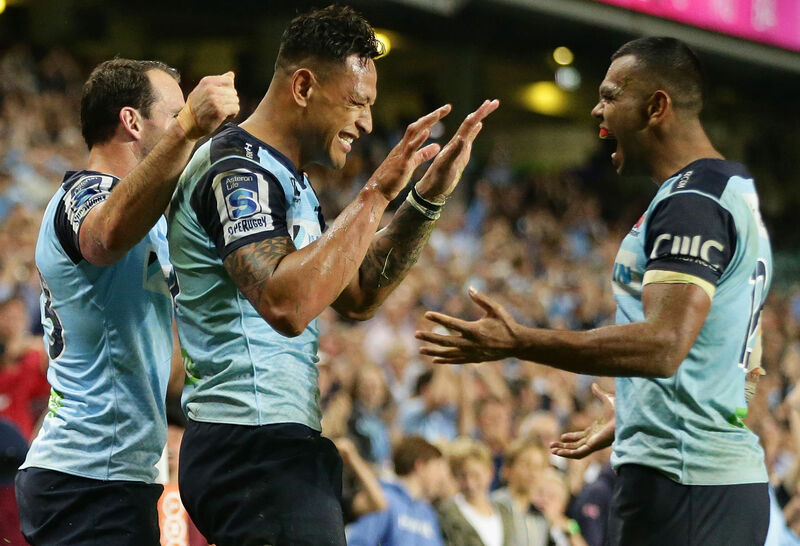 How will Folau and Weber react when they come together after full-time? Perhaps there will be no hostilities between the pair. Maybe there will be just love and respect. But it’s a sub-plot worth monitoring. After all, there’s way more sincerity and authenticity in a face-to-face encounter than in abbreviated social media slap-downs.